The tool is ready; the first prototypes are on their way. 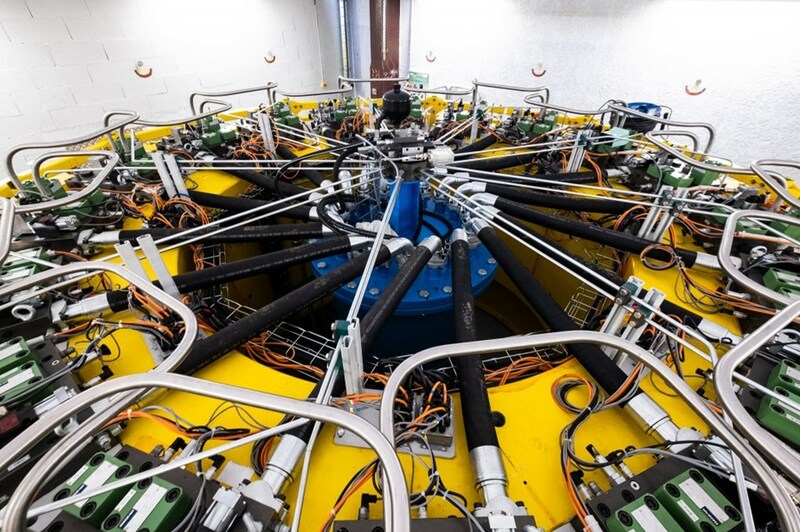 Soon, a specialized test bench at CNIM (France) will enter into service to verify the resistance of the large composite rings that are designed to "push back" against the forces exerted on the toroidal field coils during operation. At the top and bottom of the machine, where the tapered ends of the toroidal field coil structures meet, large composite rings will be installed to help the coils resist electromagnetic forces during operation. The material chosen for the pre-compression rings—more than one billion minuscule glass fibres glued together with epoxy resin—has been confirmed through R&D and testing as the most resilient and suitable for withstanding high loads and avoiding the circulation of current. Without the pre-compression rings forces calculated at several hundred meganewtons (MN) would stress the toroidal field coils and, over time, cause material fatigue. Full-size prototype rings are about to be tested at the ITER pre-compression ring facility, where a tool developed by Douce Hydro (France) in collaboration with CNIM will exert a force of 36,000 tonnes while maintaining a positional accuracy of 0.1 mm. Stress tests will last a few hours and will be supplemented by other tests to confirm that the creep and fatigue performances are also adequate. 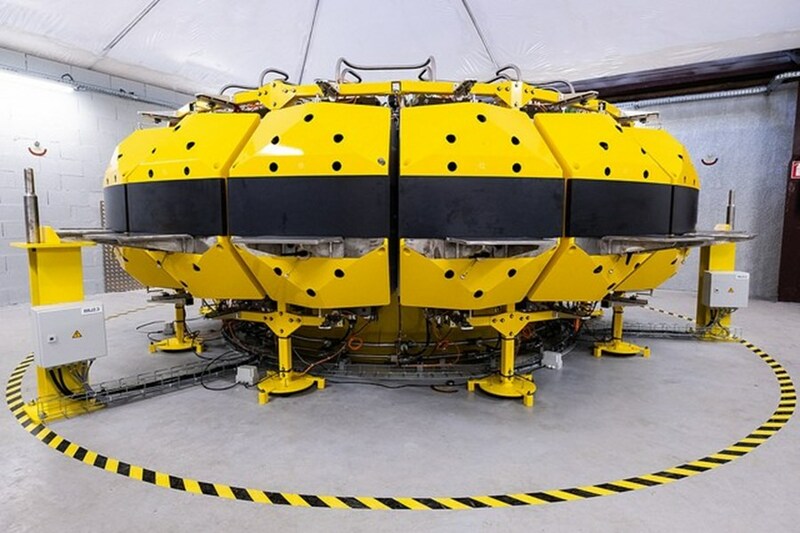 The test facility and tooling have been procured by the ITER Organization through a contract with CNIM/Douce Hydro; the European Domestic Agency developed the conceptual design of the facility and is procuring the nine ITER pre-compression rings (two sets of three plus one spare set). Read the original report on the European Domestic Agency website.